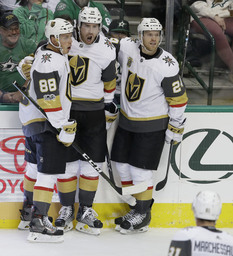 James Neal scored twice in the third period Friday night, rallying the Golden Knights to a 2-1 victory over the Dallas Stars in the debut of the first major pro sports franchise in Las Vegas. With the video board reading "Viva Las Vegas" above the players, the public address announcer said "Dallas stands with Vegas and those affected by the horrifying tragedy." Marc-Andre Fleury stopped 45 of 46 shots to help the Golden Knights become the first expansion to open with a victory since the Ottawa Senators in 1992. They also spoiled coach Ken Hitchcock's return to Dallas 18 years after he directed the franchise's only Stanley Cup title. Both of Neal's goals came against Kari Lehtonen after Ben Bishop left with an apparent facial injury after taking a puck to the mask. Bishop had stopped all 19 shots in his Dallas debut after coming over in a trade with Los Angeles and signing a long-term contract with the Stars. The biggest pregame roar came when Hitchcock was introduced, right after a highlight reel that included Brett Hull's Stanley Cup-winning goal when Hitchcock was behind the bench in 1999. Technically, it's the 24th season for the Dallas Stars because of the lockout that wiped out the 2004-05 season. 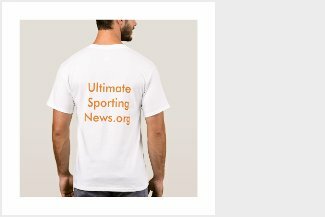 They moved from Minnesota for the 1993-94 season. Stars: Hitchcock's return to St. Louis on Saturday night.